On her website on Wednesday, Kim Kardashian live streamed her and daughter North's arrival at Kanye West's YEEZY show​ during New York Fashion Week​. 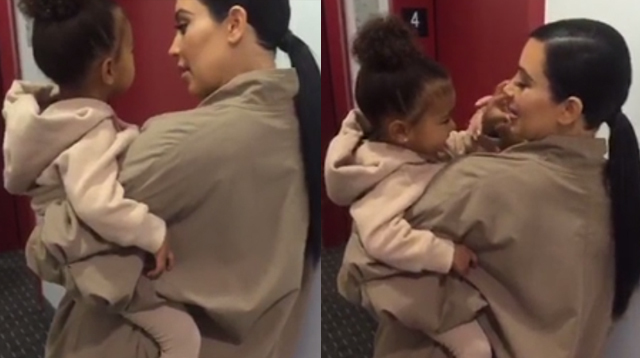 The result is, hands down, the most adorable video of North and Kim you will ever see. Kim posted the video on her website, and Karizza Sanchez, style news editor for Complex, filmed it and shared it on Twitter.